Your home and community, filled with amenities that matter most. 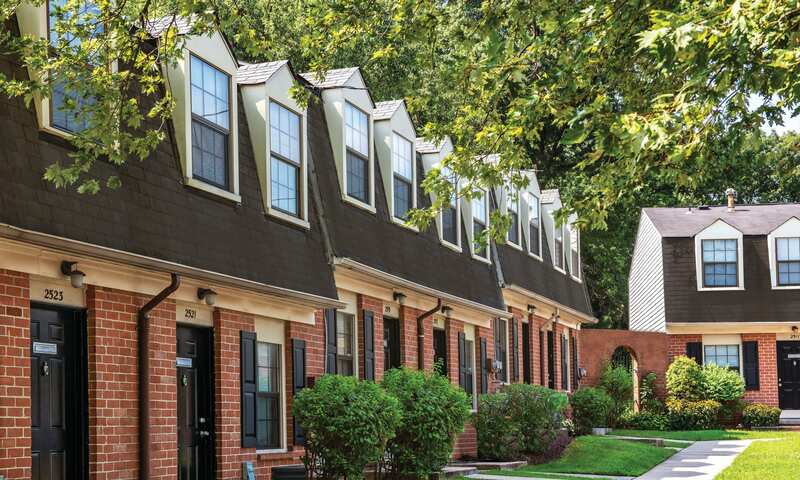 An affordable, pet-friendly community in Baltimore, MD. Enjoy the comforts of home and the rewards of city living at Dutch Village Apartments. We offer one, two, and three bedroom apartments and townhomes for rent, close to Baltimore’s arts, entertainment, and business centers. You’re sure to find the perfect floor plan fit for your needs, complete with a fully equipped kitchen, private entrance, and air conditioning to keep you comfortable year round. Recipient of the MMHA Star Award, our community is full of amenities that matter and features that inspire. Located just three miles south of Towson University and Towson Town Center, and just 30 minutes north of downtown Baltimore, our convenient community has it all. Find everything you need within your home at Dutch Village Apartments or just a few steps outside your door in our quaint Baltimore community. Our residents love living here, and for good reason. Find a playground on-site, perfect for letting the little ones roam free, and nearby parks practically designed for a good game of fetch with your four-legged friends. When you’re in need of home maintenance, our on-site management can help and get you back on track with 24-hour emergency maintenance. Our neighborhood can’t be beat at Dutch Village Apartments, conveniently located next to Mt. Pleasant Golf Course in Baltimore, Maryland. Whether you’re looking to cozy up at home, or venture out into the city, it’s easy to do both at Dutch Village. Work, school, and play are all a breeze to get to and from our central location. Large employers in the area include Amazon, USPS, and Good Samaritan Hospital. Fine eateries are within walking distance. You can have it all at Dutch Village Apartments. Let’s chat. Our friendly team is eager to meet you and show you around.